Between 1500 and 1800, the Portuguese, Spanish, British, and Dutch brought almost 10 million enslaved Africans to the New World. 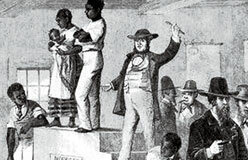 About 500,000 were taken to Britain’s mainland colonies, which became the United States. 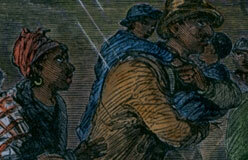 In the South, colonists needed workers for their plantations (large farms where cotton and other crops were grown). European workers were hard to find. And many Native Americans didn’t want to do that kind of work. They also died from diseases the Europeans brought. 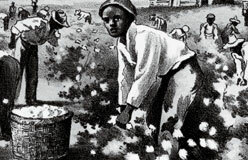 By the late 1600s, planters needed the forced labor of enslaved Africans. 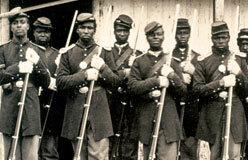 Most of them were brought from West Africa.